Evening falls, and then night, and we look up into that nighttime sky, in all its glory, and see… well, there was a time when we all saw a slew of stars and planets and galaxies. These days, many, most, are likely to look up and see reflected man-made light from street lights and gas stations, shopping centers and parking lots. Blazing away. Banishing the dark. We’ve lost the dark – the true dark – says my guest today, Paul Bogard. And with it, true night. And, he says, there are consequences. This hour, On Point: our vanishing darkness and the end of night. The Telegraph: The End Of Night by Paul Bogard, review -- "Forget Brian Cox – Paul Bogard is the kind of guy I’d want to go star-gazing with. Driving out into the darkness of Nevada’s Black Rock Desert, Bogard’s gear includes a glow-in-the-dark Frisbee; in Death Valley National Park, the sight of Jupiter causes him to laugh out loud with joy." The Daily Beast: Is Light Pollution the Easiest Environmental Problem to Fix? -- "Not so terribly long ago, people everywhere experienced nights so black that even the Milky Way could cast shadows on the earth. According to some estimates, around 80 percent of people now live under night skies so polluted by artificial light that they’ve never seen the Milky Way at all." 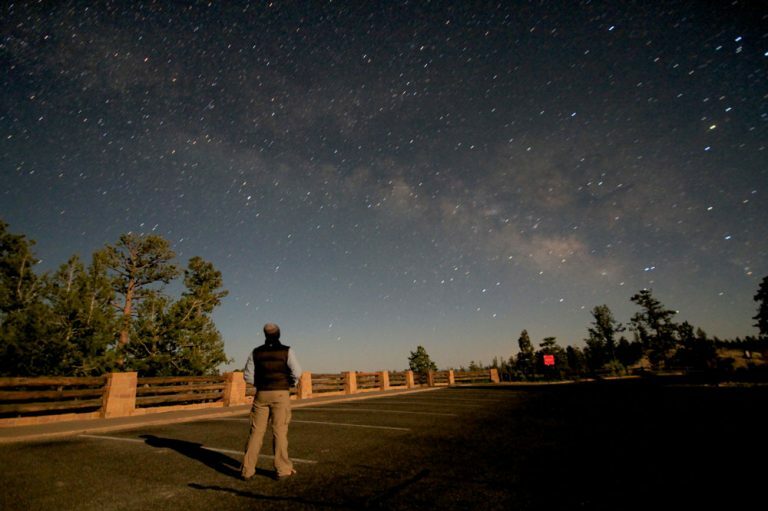 National Geographic: With Light Pollution, Perseids Meteors Less Spectacular -- "It's important to remember that a night sky was accessible to everyone through human history, and now that's gone. The night sky influenced art and science and religion for thousands of years—and it did something that we're now cutting ourselves off from. The night sky is a resource that belongs to all of us." This program aired on August 16, 2013.